Congrats, Matt and Kathryn! 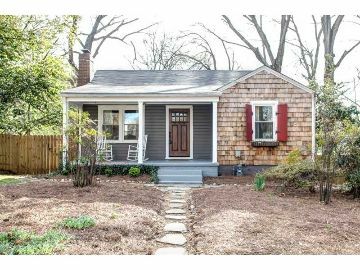 Your Adorable Marietta Bungalow is SOLD! After hearing wonderful things for years about Matt and Kathryn from Jennie, we now know all things are true first-hand! We enjoyed working with Matt and Kathryn as they decided to sell Kathryn’s first home in Marietta and prepare for their growing family! And… it all came together just in time! Kathryn is due in the coming weeks with a little girl to round out the genders in their household! Matt and Kathryn, we enjoyed working with you guys so much and look forward to working with you again in the future! Wishing you the best in the coming weeks! ← Just Listed :: Entertainer's Dream in Buckhead's Collier Hills!